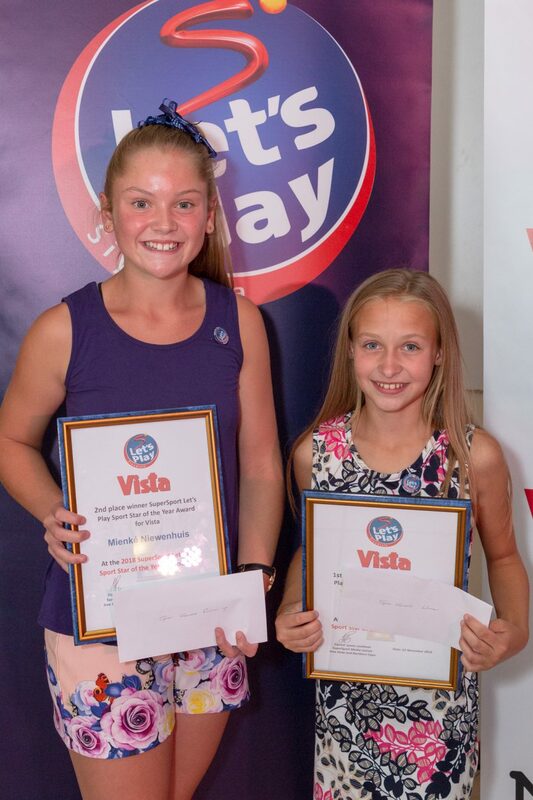 The prestigious SuperSport Let’s Play Sport Star of the Year Awards for the Welkom newspaper, Vista, was held on Thursday 22 November at the Rovers Squash Club. First and second places were awarded for our newspaper partner – Vista News. Our guest speaker for the day was Wynand Pienaar, well-known Griffons player and Runaldi de Beer from Spec-Savers who spoke about the importance of vision in sports. Spec-Savers came on board by sponsoring a R2000 Police Sunglasses coupon for the winner as well as a R500 gift coupon for the 2nd place as well as a lucky draw voucher for the parents. Vista’s winner for 2018 is 10-year-old Mieke Erasmus. She is a formidable young sportswoman, chosen for her versatility and achievements in six sports. Mieke participates in athletics, cross country, tennis, cricket, netball and hockey. Mieke ranks no. 1 in her age group in the Goudveld North and North Free State tennis ranks, and she is no. 4 in the Free State tennis team. She is part of the Goudveld athletics team and also the Northern Free State athletics team. Mieke is no. 5 in the Lejweleputswe cross country team. 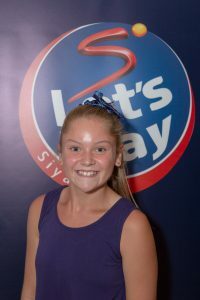 She was also chosen for the Free State Country Team, and was also chosen to participate in the SAs in Port Elizabeth. Mieke is a brave cricket player and was selected for the o.13 Lejweleputswa girls’ cricket team. Mienke was chosen as our 2nd place winner as she participates in hockey, tennis, netball and athletics. Mienke plays first-team hockey at school level, and she was her school’s hockey captain. Mienke was selected for the Northern Free State 0.12 hockey team. In tennis she is the North Free State o.12 no. 1 tennis player. She was the captain of the u.12 Free State A netball team, and she participated in the SAs. In athletics, Mienke performs at provincial level in weight and discus, and represented the Free State at the SAs in Paarl. Mienke was honored for her exceptional performance in athletics at a special function held by the Free State Department of Education.